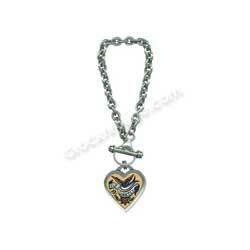 This is the Fly Lightly bracelet, a small heart on a silver plated chain with a toggle clasp. Was £30.00, you save £10.00! 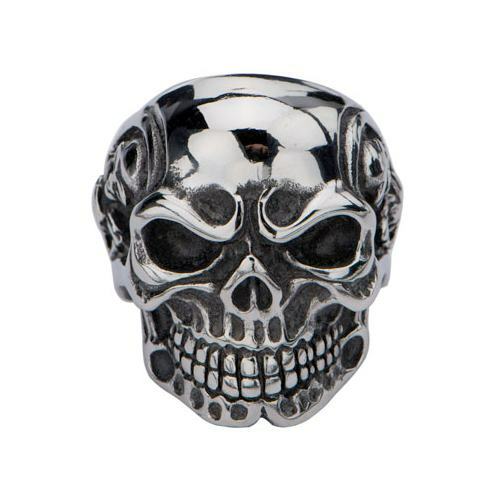 Assembled from the sobering detritus of all-out war, a string of vanquished trophy skulls. 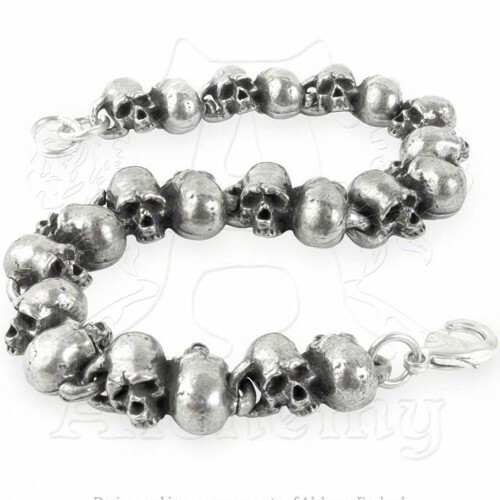 Bead bracelet of solid cast pewter skulls, with lobster claw fastening. 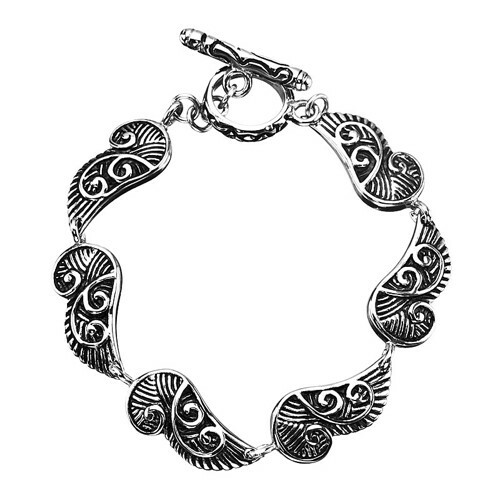 This is one of our favourites, these bangles sold out so quickly, we had to order more in. 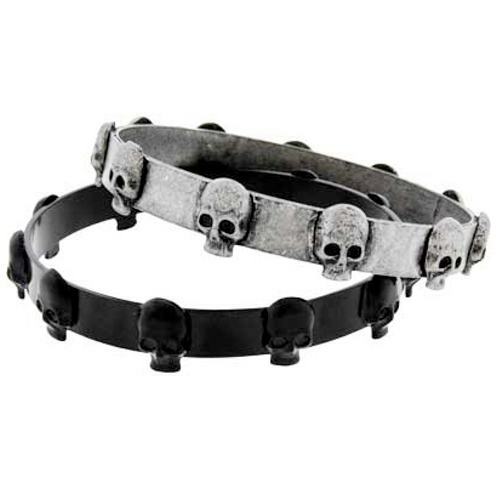 Black and burnished silver skull bangle. 2 pieces, sold as a set. 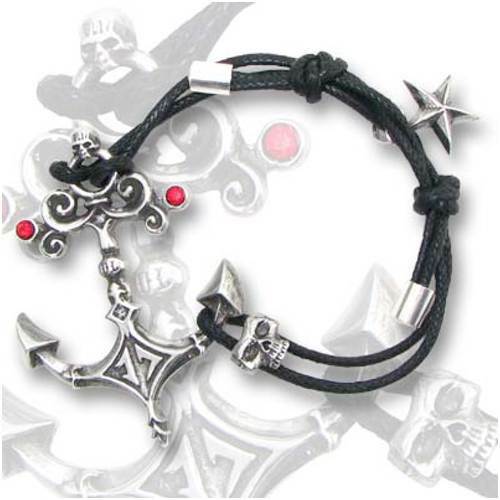 Pewter Anchor 'friendship'-style bracelet with Swarovski crystals, skull fastener & nautical star charm. On waxed cord thong. 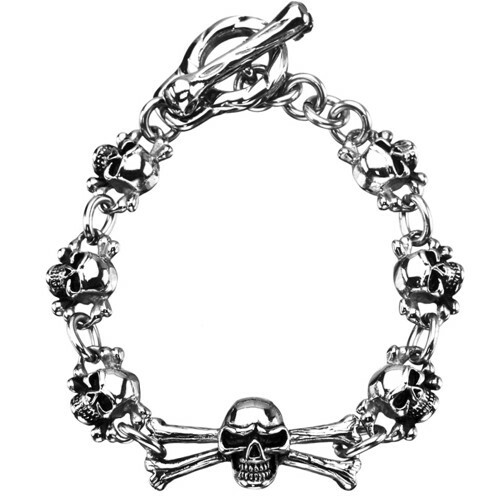 Women's Stainless Steel oxidized Black skulls toggle bracelet. 7 1/2 inch long. 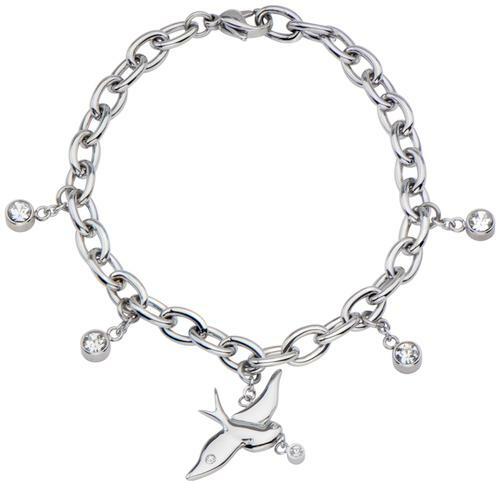 This is the Swallow bracelet, a small heart on a silver plated chain with a toggle clasp. 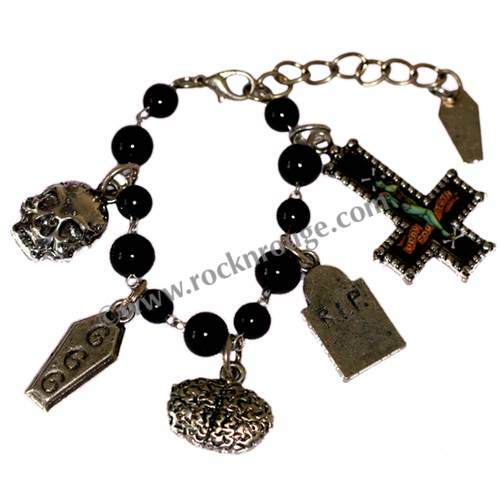 Stainless Steel oxidized Black IP wings bracelet with toggle latch. 7 1/2 inch long.